Scion Oil Cooler Kit. Aftermarket Oil Cooler for Scion FR-S & tC. Oil Cooler Kits now available. Scion Oil Cooler Kits from Mishimoto & Cusco are on the market. Scion Oil Cooler Kits keep the oil 25-30% cooler, even under extreme conditions. Description: Perrin Cat-Back Exhaust System (3.0") for 13-16 Scion FR-S; 13-18 Subaru BRZ PSP-EXH-362. Perrin Exhaust System available WITH Resonator. Arguably the best exhaust system on the market for the Scion FR-S / Subaru BRZ. Description: Perrin Cat-Back Exhaust System (2.5") for 13-16 Scion FR-S ; 13-18 Subaru BRZ PSP-EXH-3601. 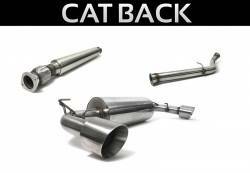 Perrin Exhaust System available WITH Resonator. 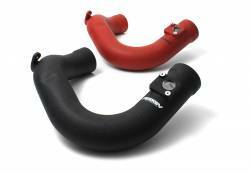 Arguably the best exhaust system on the market for the Scion FR-S / Subaru BRZ. Description: Perrin Lightweight Lightweight Pulley- a true weight savings that can be felt with every blip of the gas pedal. 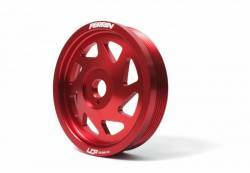 PERRIN Performance designed a Lightweight Accessory Pulley Kit for the 13-16 Scion FR-S; 13-18 Subaru BRZ.